2015 marked the 20th year of Kansas City’s Urban Core Group. View KC’s infrastructure with us and become a member! Through monthly meetings, the urban core group shares information, discusses issues and acts as a catalyst toward creative approaches to strengthen our communities. Together, we help to build value, pride and enthusiasm within our neighborhoods and city. 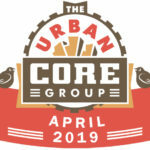 The Urban Core Group is a grassroots effort dedicated to learning more about how urban pioneers are preserving and enriching our Kansas City experience. Each month we gather to discover and learn how new projects and redevelopment efforts are revitalizing our urban core. Learn more about us by attending one of our monthly events as a guest. Join our group! Meet others who care about our urban core, learn about your city's history and future, and support the preservation and revitalization of Kansas City's urban neighborhoods.